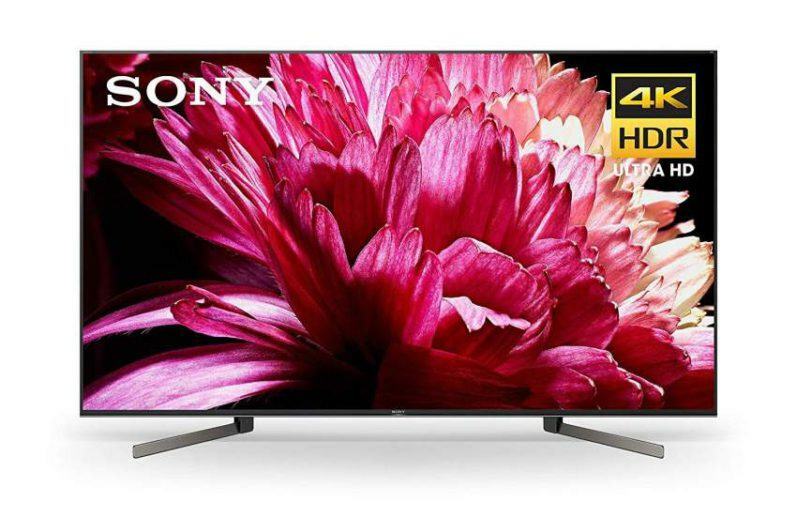 Looking for a name brand 4K TV with good performance, plenty of features – with a small – yet decent sized picture screen, and with the added bonus of being part of Sony’s premium XBR Series lineup of televisions, all at a cost that won’t break the bank? Then have a look at the XBR49X830C. The compact design of this 49″ display panel embodies a small footprint that will fit nicely in the smallest of viewing environments. Its semi-matt finish screen delivers just enough brightness to be viewed in a well lit area; however, proper placement of this TV in this sort of environment is important to avoid screen glare. The 830C has a overall attractive, yet not too flashy design with a very slim bezel measuring approximately 0.40″ at it thinnest point. The set is also slim and trim in depth, measuring just under 1-3/4″ thick. The display panel uses Sony’s Dynamic Edge-lit LED backing for illumination. For the record, my review unit did not have any light bleed from the edges or corners while observing a black screen in a moderately dark viewing environment. The silver metal pedestal stand adds an attractive design element to the TV’s overall appearance. I’d also like to point out that this stand design provides decent support – but proved to be a bit wobbly when I gave the TV my shake test which involves gently rocking the TV back and forth from the top of the screen. However, the set was in no danger of tipping over. 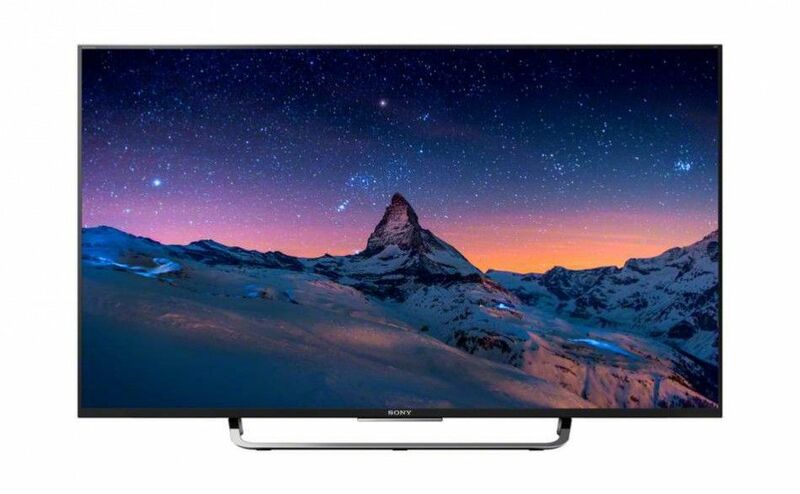 As I stated early, this TV offers plenty of features for such an inexpensive premium model: Starting with picture quality enhancements, the XBR830C utilizes Sony’s new X1 video processor. 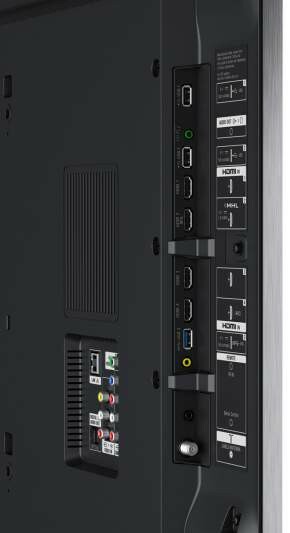 The X1 4K processor brings more clarity, color and contrast for stunning picture quality to all video sources, and upscales all non-native 4K video to near 4K quality using Sony’s X-Reality Pro technology. Android TV w/ Google Play: The XBR49X830C is equipped with an Android operating system and incorporates Android TV with access to a wide variety of apps from Google Play which have been optimized for playback on this TV. 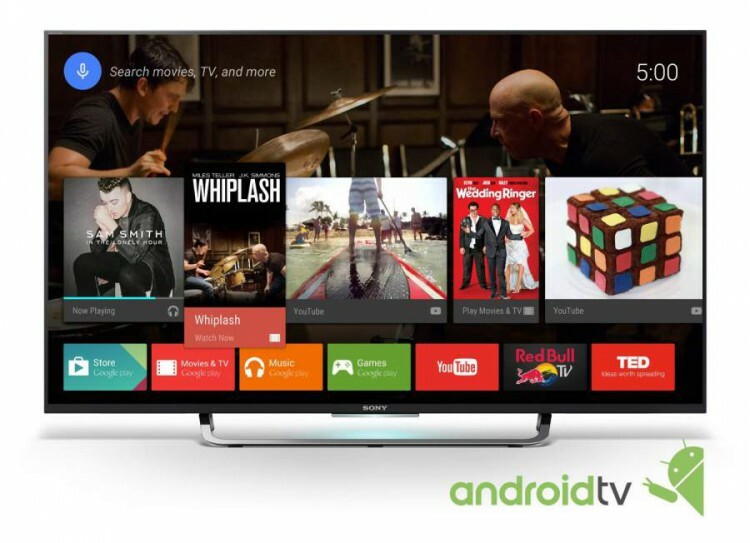 Android TV gives you access to movies, music, sports and other entertainment apps . 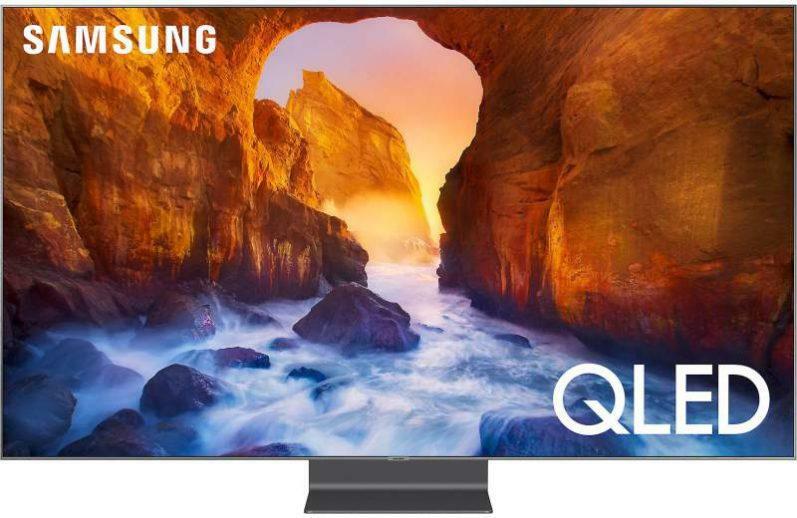 In addition, view content from your smartphone or tablet on this TV using Google Cast for a more engaging experience on this TV’s much larger screen. This TV has received Netflix Recommended TV certification which makes it easier for consumers to know which manufacturers HDTV’s work best with its streaming video service by establishing performance criteria which can be identified on select TVs by a Netflix Recommended TV logo. Direct TV Ready – DIRECTV subscribers with the Genie Whole-Home HD DVR can enjoy service and full DVR features without an additional receiver. Sony’s Opera web browser gives users the full internet on this television with a user interface that has been optimized for TV screens, which in turn will enable users to experience the best TV browsing experience currently available. When using Sony’s Opera TV browser, users will experience all that the web has to offer, allowing them to search for their favorite online content, just as they do on their computers, smartphones, tablets and other devices. The XBR830C offers built-in Wi-Fi using the very fast 802.11ac standard. Even thought the XBR830C is part of Sony’s XBR Series, it does not contain two-key picture enhancing features: TRILUMINOS Display technology for better color reproduction, and X-tended Dynamic Range technology for better contrast for increased peak brightness and deeper black levels. These features are reserved for the top models in this series. 3D capability is also absent on this set for those who may still be interested in this technology. Remote control: The supplied remote is nothing to write home about, and is a standard type wand which fit comfortably in my hand and contains all the necessary buttons and ease of functionality to operate the TV from your favorite viewing position. The remote is not backlit. I thoroughly enjoyed the overall picture quality of this television. On-screen images were crisp with plenty of detail and allowed for the 4K resolution this set has to offer really shine; whether it be objects or landscaping of outdoor shots, or close-up shots of individuals faces and the indoor environment surrounding them, this TV’s picture image remained sharp, providing plenty of fine detail and clarity. Even with the absence of Sony’s TRILUMINOS color technology, I was still impressed with this sets color rendering capability. Colors were very vivid and well saturated with plenty of punch and appeared to be quite accurate and natural with a good tonal balance. The XBR49X830C contains an IPS display panel which are known for their very good off-axis viewing characteristics which is better at reducing picture dimming and color saturation loss when compared to VA type display panels when viewing at wide angles. IPS panels are also known for their inability to produce deep black levels. And speaking of black levels, I must say I was pleasantly surprised at the black level performance on this TV – black levels were darker than I expected from and IPS panel and didn’t suffer as much from the grayish looking blacks that I usually see on this type of panel. In dark scenes, blacks appeared to be fairly dark along with good shadow detail. One possible theory I have for this increase in black level performance on this IPS panel is Sony’s X-1 video processor’s Dynamic Contrast Enhancer technology which Sony claims makes the bright parts of the screen brighter and the dark parts a truer, deeper black. However, all is not perfect in this crucial area of picture performance – while viewing a black screen with centered white text, I felt peak whites of the text could have been brighter and whiter, while contrast and black levels also could have been better, and were not as dynamic as I would have liked to have seen. As I mentioned above, this TV has an IPS panel, so I was not surprised at this displays excellent off-axis viewing performance. Viewing this TV at 45 degree angles and wider exhibited very minimal amounts of picture dimming, color saturation and contrast loss. The XBR830C contains Sony’s Motionflow XR 960 technology for smooth and sharp details even in fast-action content such as sporting events. I did not detect any motion blur artifacts while viewing this TV. The audio quality of the two down firing speakers wasn’t all that bad, but not great either. The sound was somewhat open and spacious with adequate detail in the high and midrange frequencies. However, its bass output (low frequencies) was very limited and virtually nonexistent, which didn’t surprise me and is very common with slim flat panel designs. The XBR49X830C offers very respectable picture quality and a good feature suite in a compact decor friendly package. The price of admission for this TV is quite affordable when you consider it’s part of Sony’s premium line of 4K UHD TVs. It does, however, lack a few key features that its larger and more expensive XBR models contain, but these omissions do not keep it from delivering on performance in the area where it matters most – picture quality. •	With stand: 33.95 lbs. •	Without stand: 31.75 lbs. 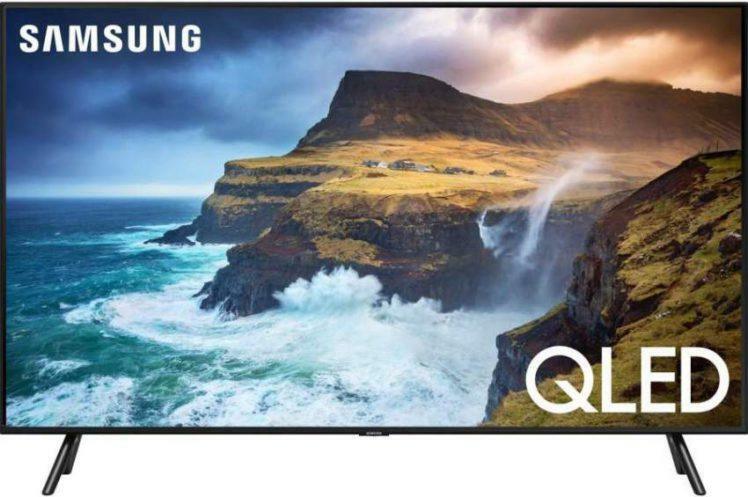 I’m trying to choose between this 49 inch Sony 830c vs Samsung’s 55 inch JS7000.My room set-up dictates that I buy a TV with an ISP panel for the better viewing angle.Which of these 2 TV’s do you think has the better build quality and color/contrast? Since both these TV’s have IPS panels, I’m sure you already know that neither one of these models will give you good contrast. With that said, the Samsung will give you slightly better contrast. Both of these models do a very good job with color reproduction; however, the JS7000 does an overall better job with color performance in my opinion. As far as build quality, I would have to give the edge to the JS7000.